This introductory course to traditional black and white 35mm photography teaches basic camera handling, film processing, and darkroom procedures. Students learn how to control light to produce an aesthetically pleasing image on light sensitive film. Composition and the elements and principles of art are addressed. In addition, pinhole cameras, photograms, special effects, and the history of photography may be addressed. This second level course will build upon experiences of level 1. This course deals with improving the student’s ability to see, take and create a photographic image. 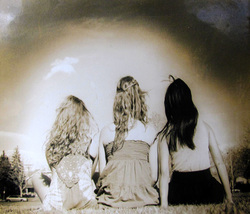 Students may be given opportunities to work with sepia toning, hand coloring, multiple images, special films, digital images, and other photo techniques and processes. Masters of photography may be studied. Special emphasis is placed on the critique. This third level course will build upon experiences of level 2. This course deals with improving the student’s ability to see, take and create a photographic image. Students may be given opportunities to work with medium format, sepia toning, hand coloring, multiple images, special films, digital images, specialty lenses, filters and other photo techniques and processes. Masters of photography may be studied. Large photo printing may be taught. This fourth level course will build upon experiences of level 3 to expand darkroom and photo taking skills and increase the confidence of the students as photographers. Students may be given opportunities to work with medium format, sepia toning, hand coloring, multiple images, special films, digital images, specialty lenses, filters and other photo techniques and processes. Masters of photography may be studied. Some instruction may be given on an individual basis with the student’s particular career goals or artistic vision in mind.